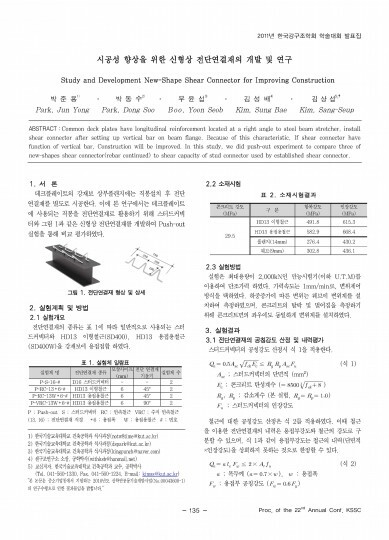 Common deck plates have longitudinal reinforcement located at a right angle to steel beam stretcher, install shear connector after setting up vertical bar on beam flange. Because of this characteristic, If shear connector have function of vertical bar, Construction will be improved. 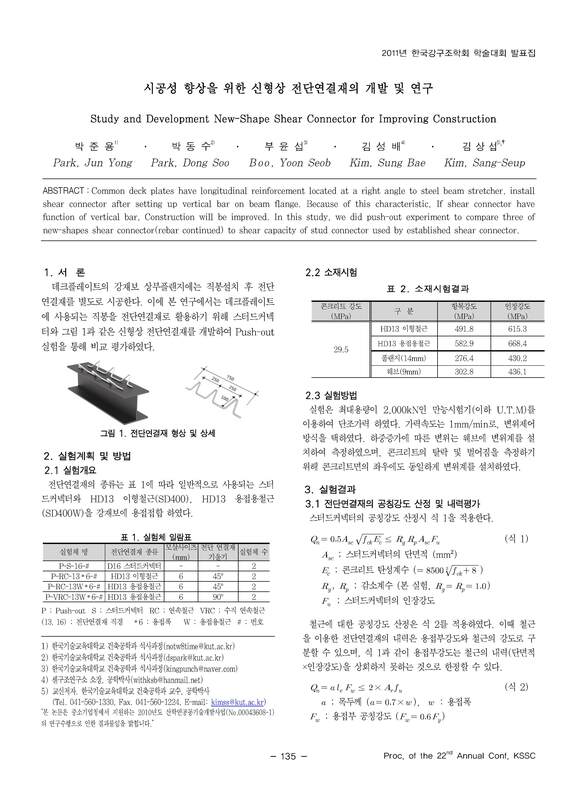 In this study, we did push-out experiment to compare three of new-shapes shear connector(rebar continued) to shear capacity of stud connector used by established shear connector.